This study investigates the market for connected tanks in various industries. Typical applications include tank location tracking, tank level monitoring, regulatory compliance and reporting as well as optimization of delivery and pick up routes, and inventory management and analytics. The installed base of remote tank monitoring (RTM) systems is forecasted to grow at a compound annual growth rate of 37.2 percent from 1.8 million units at the end of 2017 to 8.6 million units by 2022. The report is based on numerous executive interviews and profiles the leading 57 RTM vendors. Get up to date with the latest information about vendors, products and markets. This report is only available in PDF formats. 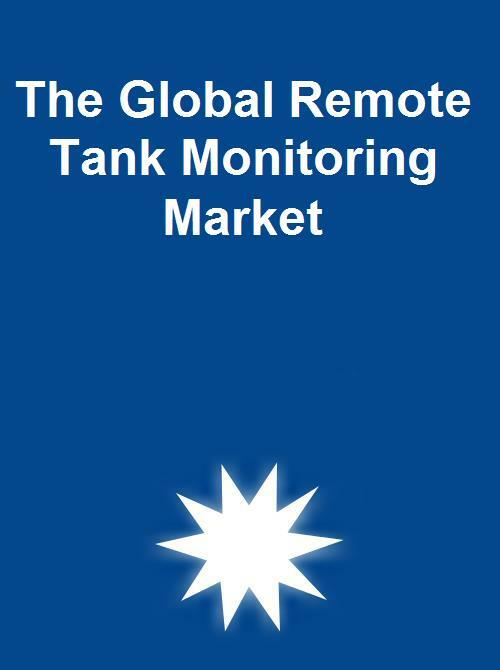 The Global Remote Tank Monitoring Market is a comprehensive report analysing the latest developments on the market for connected tanks. This strategic research report provides you with 90 pages of unique business intelligence including 5-year industry forecasts and expert commentary on which to base your business decisions. Insights from numerous interviews with market-leading companies. Comprehensive overview of the remote tank monitoring value chain and key applications. Summary of the latest industry trends and developments. Updated in-depth profiles of 62 key players in this market. Reviews of vendor market shares and competitive dynamics. Extensive global and regional market forecasts lasting until 2022. What is the potential market size for remote tank monitoring applications? Which trends and developments are shaping the market? Which are the key application areas for this technology? What business models are used by the solution vendors? What are the market shares for the leading solution vendors? How will emerging LPWA connectivity options affect the market? How will the remote tank level monitoring market evolve in the future? The Global Remote Tank Monitoring Market is the foremost source of information about the adoption of connected tank level measurement devices in multiple market segments. Whether you are a device vendor, service provider, telecom operator, investor, consultant, tank fleet owner or government agency, you will gain valuable insights from our in-depth research. Berg Insight estimates that the global installed base of active remote tank monitoring (RTM) solutions reached almost 1.8 million units in 2017. Growing at a compound annual growth rate (CAGR) of 37.2 percent, the active installed base is estimated to reach 8.6 million units worldwide in 2022. The researcher estimates that the European market accounted for more than 0.4 million active RTM systems at the end of 2017. The North American market is estimated to be larger than the European at around 0.6 million active units. The Asia Pacific market is moreover estimated to represent an installed base of about 0.6 million RTM systems at the end of 2017. South America and Middle East & Africa are smaller markets having installed bases of 89,000 units and 177,000 units respectively. There are more than 100 RTM solution vendors active on the market worldwide and this report covers 56 companies. The researcher ranks Independent Technologies (WESROC) and DataOnline as the leading RTM solution providers in terms of the active installed base worldwide with installed bases of about 150,000 and 140,000 RTM units respectively at the end of 2017. DataOnline announced the acquisition of Independent Technologies in August 2018 to become the largest RTM solution vendor with more than 1,000 customers in 75 countries. Silicon Controls and SkyBitz (Telular) were in third and fourth place having achieved installed bases of about 100,000 units each. Silicon Controls is based in Australia and primarily focuses on gas tanks whereas SkyBitz is based in the US and most of its tanks under management can be found in North America and a few in Mexico and other countries. Polish AIUT won fifth place and had an installed base of 80,000 tank monitoring systems. ISA – Intelligent Sensing Anywhere and Sensile Technologies follow and have reached 70,000 and 60,000 tanks under management respectively. Varec, Dunraven Systems, ATEK Access Technologies and Powelectrics are also ranked among the largest providers with 30,000–50,000 units each. Other RTM solution providers with installed bases of more than 20,000 RTM systems in active use at the end of 2017 include SilentSoft, Insite Platform Partners, Numerex (Sierra Wireless), FreeWave and FarmChem.